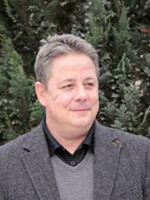 Jens May is Deputy Head of the Department of Archaeological Monument Preservation and director of the Department of Practical Archaeology at the Brandenburg State Office for Monument Preservation and the State Archaeological Museum. In addition, as regional archaeologist he is responsible for the northwestern part of the state of Brandenburg. This is ideal in facilitating a goal-oriented combination of archaeological research and ancient monument preservation and protection. His research focuses primarily on the settlement, ritual and burial structures of the northern Bronze Age, on investigations of the content and function of chased décor on Bronze-Age metal objects, and on settlement archaeology in the Roman Imperial Period.